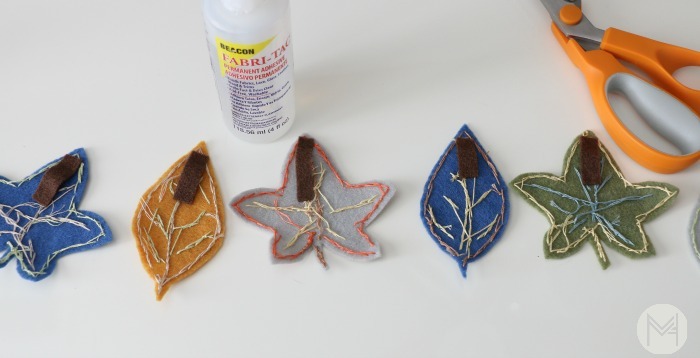 Today I want to share a beautiful little DIY leaf project tutorial, perfect for fall! Aren’t they darling?! 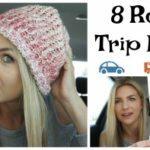 Read to the end for details on the giveaway! I have made my own leaf sketches available to you, you can click HERE for that or sketch your own. 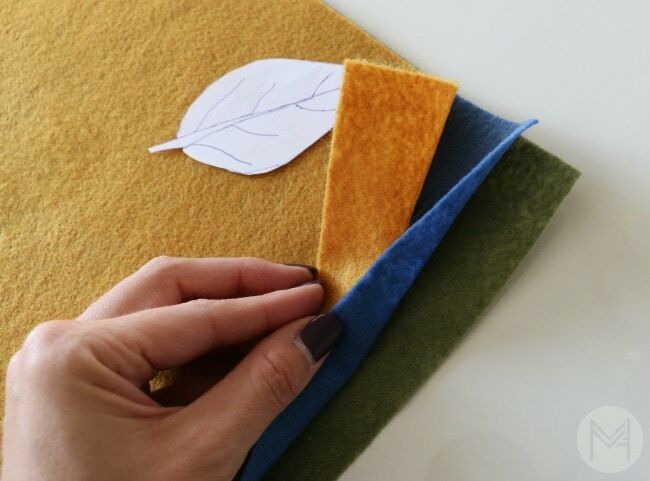 Cut those leafy shapes out with paper scissors and place it on a stack of 3 or less felt pieces. If you are using a shape with intricate cutting, I would recommend only 1,maybe 2 layers so not of the intricacies get lost. Use a marking tool to outline your leaf shape. I used an air erasable pen, but really anything will do – just be sure the line gets cut off if so it doesn’t show. 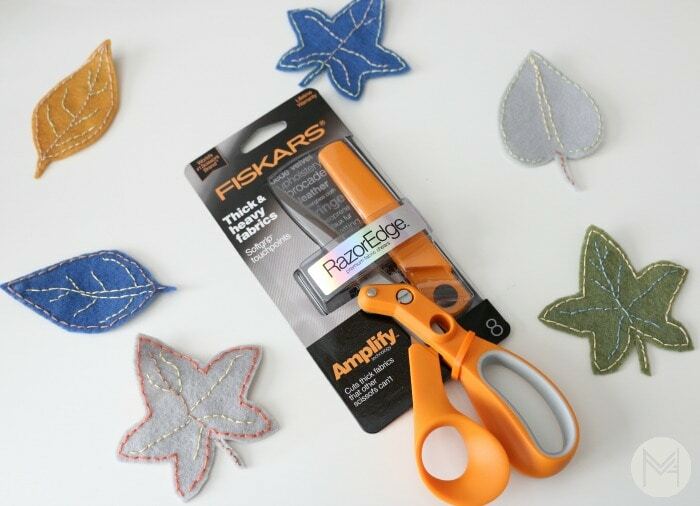 I used these Fiskars RazorEdge scissors because they can easily handle layers of fabric, they do a great job with thick fabrics. This really expedites the project! Here are the leaves cut out. 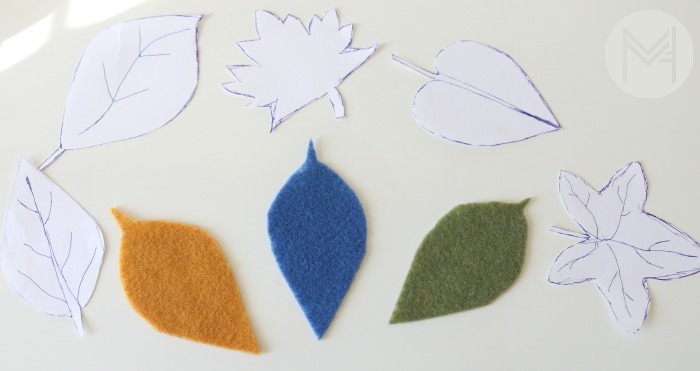 Use the same shape to make more or make some different leaves to add variety! Next, I chose some complementary embroidery floss colors and added some embellishments to the felt for an added whimsical feel. Embroidery floss comes with 6 strands, so I split the strands and used 3 for this project. 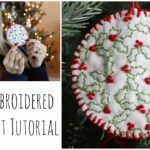 I used a simple back stitch for my stitching, here is a quick recap, or you can watch THIS VIDEO where I show you in depth. Come up from the back and go “back” to the base of the previous stitch. 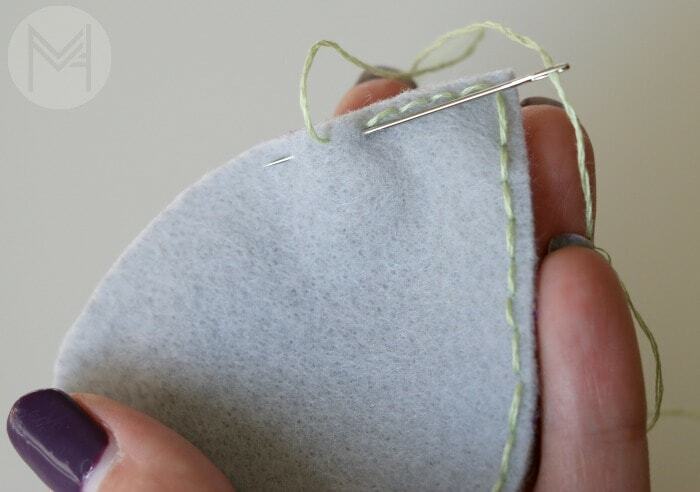 The goal is to make the stitches about the size of a grain of rice. 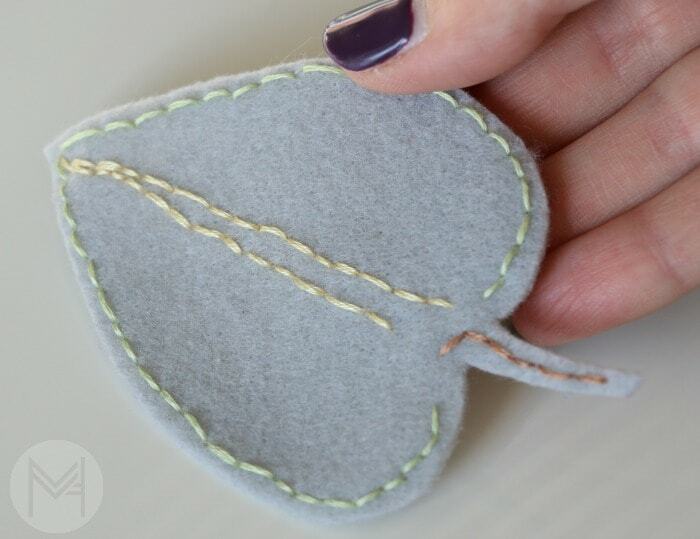 Then travel the needle and floss from the back of the leaf and bring up from the back in order to create another back stitch. Here is the finished result of this particular leaf, I really liked the look of using a few different shades of floss. You can leave the leaves like this and embellish projects, but I would like to make it into a garland, so I added an additional piece of felt to the back of the leaf in order to string it on some yarn. I used fabritac glue, but any fabric glue will work. What do you think of my garland? I love the way it turned out. The hand work was easy and meditative, the scissors made it fast and it’s easy to customize to your own decor, pretty cool! *This post was created in partnership with Fiskars. All thoughts, content and opinions are my own. Thank you for supporting the sponsors that help keep free tutorials coming your way! Cute leaves!! Love the stitching! If I won scissors I would be using them on some Home Dec fabric that I am going to make cushions with! Hi! Cute idea 🙂 I would be using these for my new sewing adventures. I’m a newbie to sewing so I am going start with an envelope pillow case ???? 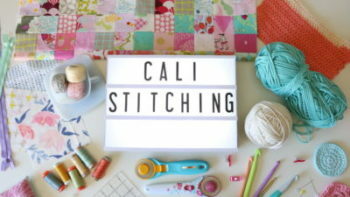 I just started making some bunting a couple of days ago, and this project would be a great addition! 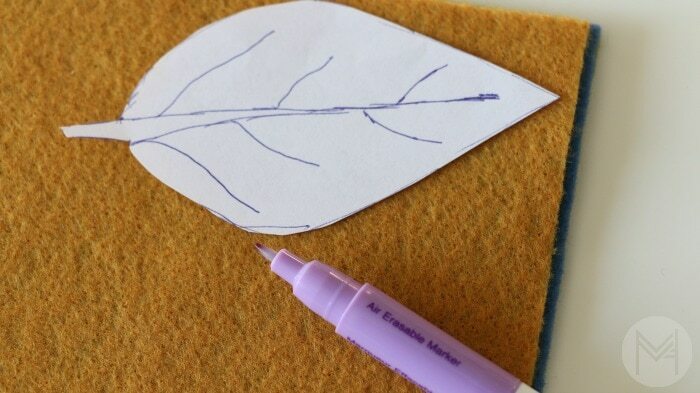 I would use the scissors to make the leaf project with my kids. It would go perfect with our nature table. I would use them to make a quilt and replace my old, cheap scissors. I’d like to try some felt Christmas crafts. These scissors would be perfect for that project! I would love this! I would use these to cut my pieces for some upcoming quilts and other sewing projects! Would love these! Just in time for making a ton of Christmas gifts! I would use them for all things crafty and hide them from my kids! I love this pattern, I would use the scissors for making Christmas crafts! These scissors would certainly come in handy for my various quilting and other sewing projects! Very cute project!!!! I would use these scissors for making quilts or craft projects. They look to be great scissors. Love the garland you made. Very nice. Thank you. I’m just getting into quilting so it would help so much. Thank you for your videos I love them and learn so much. 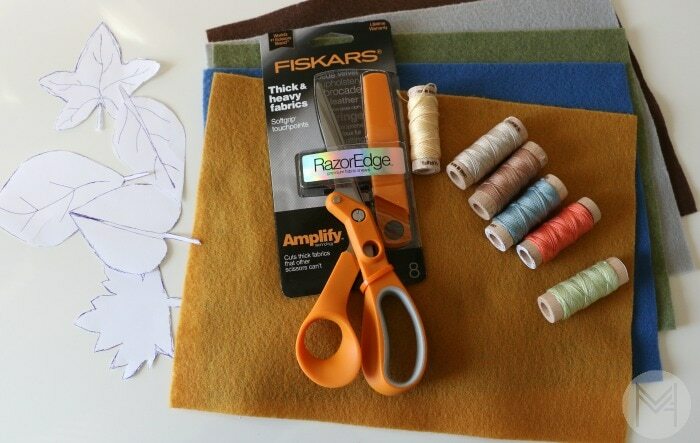 I would use the Fiskars for all my quilting needs! Thank you! Have a lovely evening. I love your videos. I am just getting started into quilting. I’ve learned a lot by watching you. I would use them for my new LOVE!! Quilting!!! I use my fiskar scissors for fabric. I ??? ?How sharp and precise they cut.???? I would use the scissors with my daughter. We are taking your online tutorial for the quilt mashup. We have already had so much fun and so much joy together picking out material. We have never quilted before. We would love the Fiskar scissors! 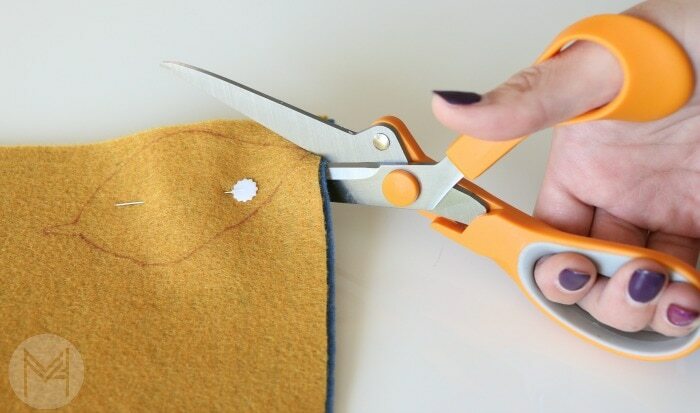 I would use the scissors to cut fabric for holiday projects/gifts. I would love those scissors! I’d use them with my crochet and sewing! I would love to use the scissors to make curtians for my classroom! I dont have scissors because I use my rotary cutter for everything! I would use those scissors for my fabric making a tshirt quilt and my yarn for all my crochet projects!! Why I would use these wonderful Fiskar scissors for all my sewing needs! I quilt, craft, crochet and stamp. My scissors are always missing. I literally hide them from my family. They always seem to find them. I now take a sharpie and mark the, “Mom’s” and they will leave those alone. If I win these they will definitely have a Mom tattoo on them! ???????? I would LOVE a new pair of scissors to use with all my unfinished projects. We are having lots of wild fires here in GA so the air quality is horrible which gives me even more excuses to stay inside in my sewing/craft room. The leaves are so cute. I would use them to cut fabric for making kennel quilts so that i can give them to a local shelter. I’d use these for cutting fabric and felt. My daughter & I plan on making some felt finger puppets. I will use them for the quilt I will be making my friend’s soon to be born baby! She’s been trying for 3 yrs and she will finally be a first time mommy! These scissors will replace the ones that my kids steal far too often and are now dull. My other half keeps taking my fabric only scissors so I definitely need a new pair!! Right now I’d use them for cutting out all the stockings I’m making for Christmas!! Thank you!! Love Fiskars! Ive actually been making leaves to use on the floral headbands I make for my baby girl, Alexa. <3 Love your tutorials! You, alone, have taught me how to crochet and quilt! I would totally love some shiny new scissors! Mine always get left or “borrowed” I would use them to start all my winter projects, Finishing my fall quilt, (lol why not finish the fall quilt in winter!) wrk on the kids christmas stockings ive been meaning to make, and crochet boot cuffs that are on the someday list! Love the leaves! I would use the scissors to start my first quilt and make curtains for my kids room! These are adorable. 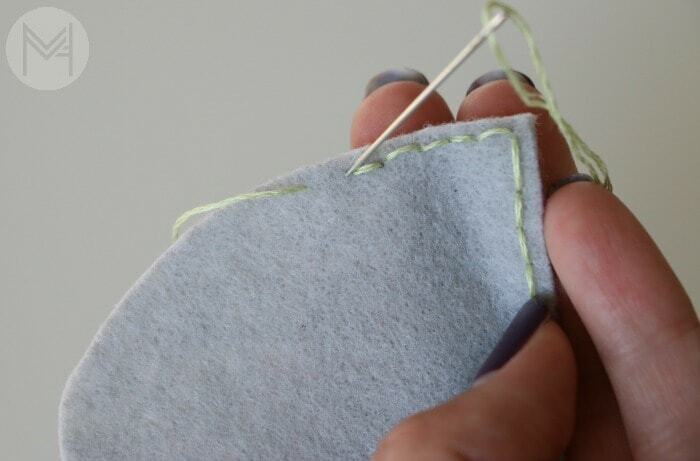 I’d use the scissors to work with wool felt. I have a friend who wrote a book of wool felt projects and I’m new to it. These would be great to be precise and quick. I hope it’s not too late to enter! I would love to use the scissors on a couch I’m re-upholstering! It is thick fabric, and some of the layers require batting or are duplicates that I could cut multiples of at one time! Hey Melanie. Can I just say those leaves are adorable! And so easy! Bonus!lol I’m just getting into sewing and would love to win new scissors since I haven’t build a huge supply of tools yet. Learned to crochet a little over a year ago with your tutorials! ???? Thanks so much for all your great lessons! I love these cute leaves. I would use these scissors to make the leaves most definitely and the rag quilt (first quilt) I’m making for my nephew for Christmas. In need of a new, good pair of scissors. I would have to also get me a lock to keep a ways from kids. Lol. I would definitely use these scissors for the fall leaf pattern you just showed but also for the 2 other sewing projects I have going for my 2 yr old grandsons new room decor. How exciting and quick it would be to have scissors that actually cut ! Lol Thank you so much for the opportunity to have a chance at winning these scissors! Good luck to everyone! These scissors would work great with cutting the different layers and fabrics for the fidget blankets/mats I want to make for my mom and the others at her assisted living facility. I would use the scissors for cutting out a new pattern to sew aprons for my nieces!! This is a great tutorial! If I’m one of the winners I would use the Razor edge scissors to make the garland shown. Then maybe snowflakes, then hearts,then shamrocks ….oh the fun I will have! I sew bags that sometimes use home dec fabric and vinyl. These scissors would be great! I love how you explain things so clearly. You make it so easy to understand and emulate your creations. Thanks! As far as I how I would use the scissors, as most others would, I’d use them for sewing. My scissors always find their way into other family members hands and for some reason they just don’t cut the same again, I wonder why??! Haha. I would use these scissors to replace my old ones that I got many years ago. No matter how many times I say not to use my sewing scissors for anything other than fabric, my family never seem to remember this. So it is time to retire these old scissors and in with a new sharp pair. Maybe now I can let them use the old ones and not tell them there are new ones around. I enjoy your channel Melanie and you really inspire me to keep Crafting. I even started crocheting again. Have been crafting with my young granddaughters and this would be a fun garland project for their Christmas trees. The stitch would be a good place to start. They told me Nana you come up with the best ideas to do. They are 4 and 7. I love the idea of a garland for my mantle. 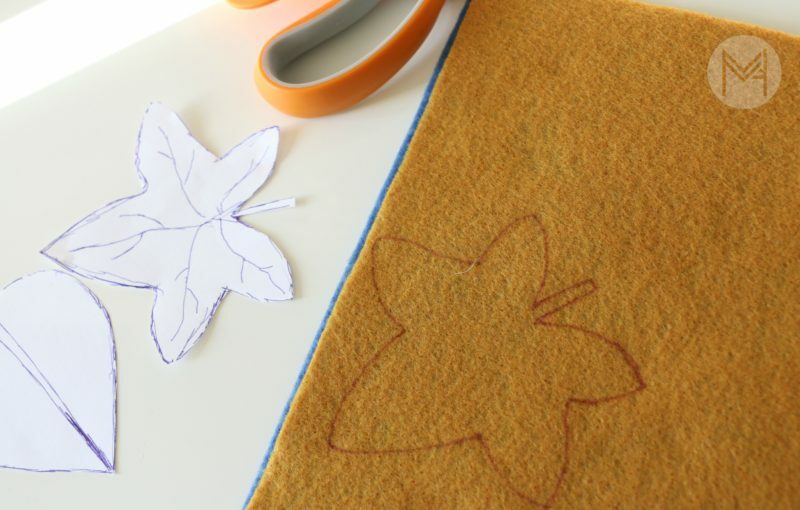 I would love to cut out acorns and leaves with my kids using these scissors! The possibilities are endless with these scissors! Felt leaf and acorn garland, felt snowflake garland, handmade/hand-stitched Christmas ornamentslittle stuffed felt critters, embellishments for headbands for my daughter…so many options, so little time!!! I’d love to make my son a quiet book. 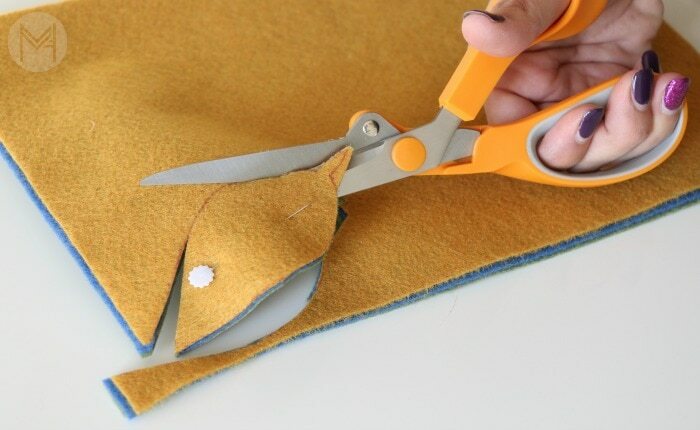 I would love a pair of these scissors to use to make this felt leave garland with my daughter for the Holidays. Lovely garland ! Love all your tutorials Amanda. I have a felt advent calendar kit waiting to be made. Hoping to make my little girl some dresses. The scissors would come in handy for sure! Love the leaves think they would also make cute place cards. I am planning to make DIY roman shades using our old mini blinds. Sharp scissors will be nice for the think material. I would love to try this new project out with those scissors. 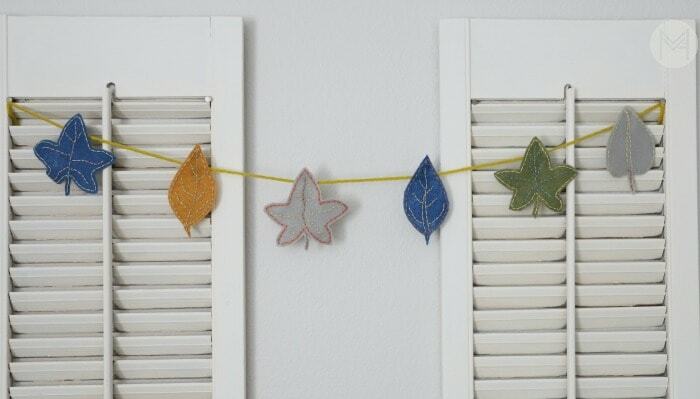 I love the idea of making a leaf garland ! I would love to use this on the mash up quilt and a new banner ???? These would be perfect for me to use on my newest project a felted wool wall quilt with lots of wool applique pieces. Wow there is just so much I could use these for . My daughter and daughter in law are both elementary school teachers. I have made banners for their classrooms. I would use the scissors to make that same garland for them both to hang in their rooms. Along with using them for other crafts and sewing projects. I have just started sewing/crocheting after watching your YouTube videos and my sister in law is having a baby so I have been trying to sew and crochet blankets burp rags etc and have gone through two pairs of scissors from Joanna fabric. They are just horrible for cutting multiple layers and makes projects take so much long. Would love to try a pair that at least cuts through three pieces of fabric easily. Thank you for all you YouTube/Facebook video. Really have made crafts enjoyable again???? I will use them to cut my batting. I love your leaves! Love scissors, especially like them for cutting fabric and thicker materials for all my crafting projects!! I love making felt bows for headbands for my daughter and that is what I would use them for! My good fabric scissors were “borrowed” by one of my kids! 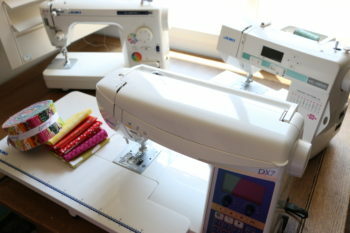 They would go to replace those to continue on my quilting projects (gifts) for Christmas! ????☃️???? I am a newbie where quilting is concerned and would love to have such a precision cutting pair of scissors in my bag of supplies! I think these scissors would work great on all the fleece blankets i am planning to make. Thanks Melanie. Love your site. I work often with upholstery fabric, denim, velvet, and corduroy. These shears would work wonderfully on those fabrics! I would use them to try making a Christmas garland! I love your ideas! These scissors would be an awesome pair to use for all my quilting and sewing projects. I would use them to make a Christmas felt tree with all felt decorations. I would use them to make my Christmas napkins for our first family dinner in our new house!! I would use them to make a shower curtain! I like these leaves! I think they would be cute as Christmas ornaments to make with the kids. I would use these scissors to cut out the pieces for the Renaissance costume I’m making. Hi melanie 🙂 These sscissor are awesome !! If I won the scissors I would use them to make rag quilts. I love this garland idea! What a fun “movie day project”!! If I won these scissors I would hang them on my new craft organization peg board ???? 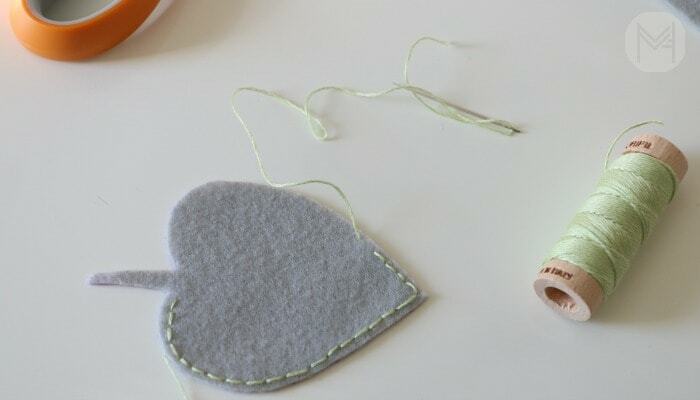 And use them to make this cute garland and other sewing crafts! I would use these scissors on cutting denim for a quilt 🙂 Love the garland, keep up the great work Melanie! I love the leaves and garland you made! If I won some new scissors I’d use them to make these and for Christmas sewing. I am planning on making a curtain for the closet in my craft/office room. 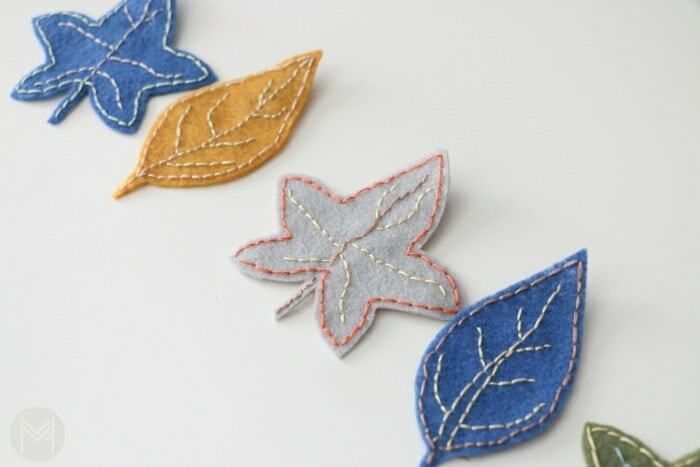 But now I am also planning on making these leaves, they are adorable!